Rice Krispies Treats are a simple, classic and all-American dessert that have been around for nearly 80 years. They were first invented in 1939 by Kellogg Company employees Malitta Jensen and Mildred Day, who were looking to invent a dessert that could be sold to raise funds for the Camp Fire Girls, a group that was formed in 1910 to offer girls much-needed outdoor learning experiences, and to foster independence and self-discovery. Today, the treat is a childhood favorite (and pretty popular among adults, too). Needless to say, the history of Rice Krispies Treats is deep and meaningful…but that doesn’t mean we can’t tinker with the recipe every now and again. 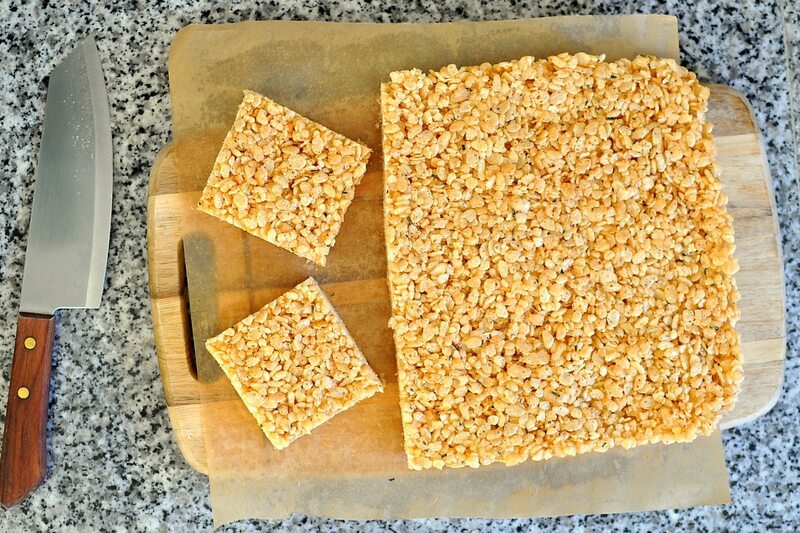 In fact, there are many delicious variations of Rice Krispies Treats that are totally worth a try. But before you go browsing, just know that we might have found the one variation that’s going to change the way you look at Rice Krispies Treats forever. Yes, sir. 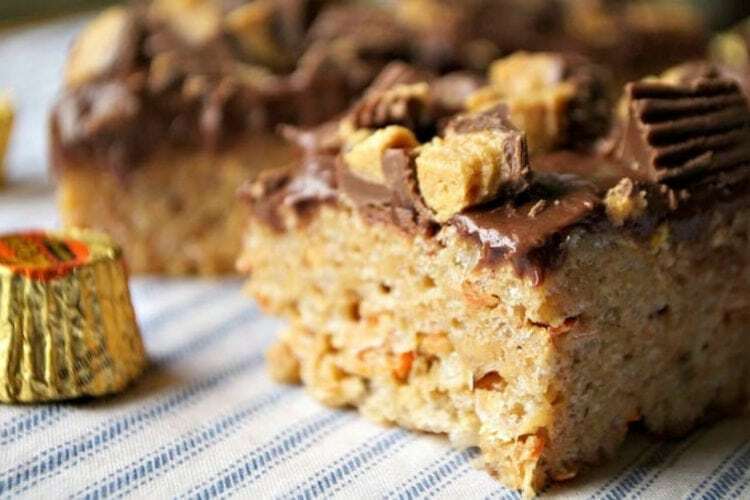 This one is a game-changer: Reese’s Stuffed Rice Krispies Treats. The recipe comes to us from Delish, and it’s not much more complicated than the original Rice Krispies Treats — but they look downright gourmet. You can also find step-by-step instructions from Lynne on 365 Days of Baking, or a similar recipe at Inside Bru Crew Life. This decadent dessert is made with butter, peanut butter, mini marshmallows and, of course, Rice Krispies. The kicker? 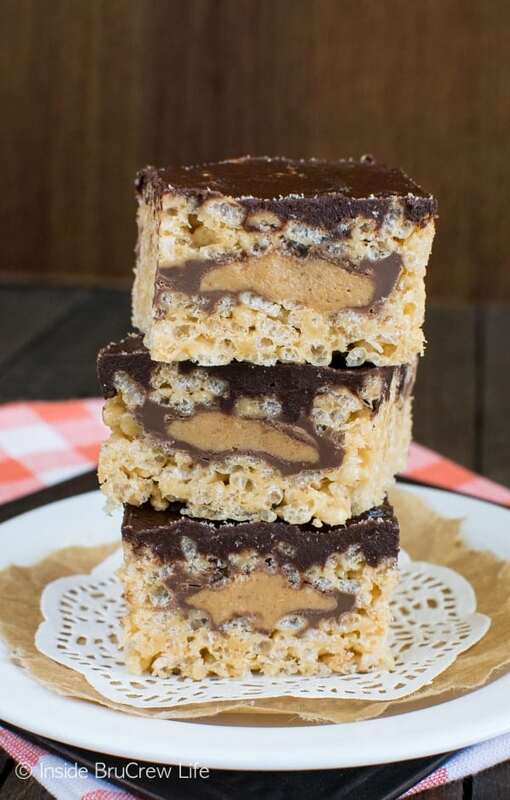 You layer Reese’s Peanut Butter Cups in between the Rice Krispies batter, making a stuffed version of your average Peanut Butter Rice Krispies treats. Concerned about a peanut allergy in the family or at your kid’s school? 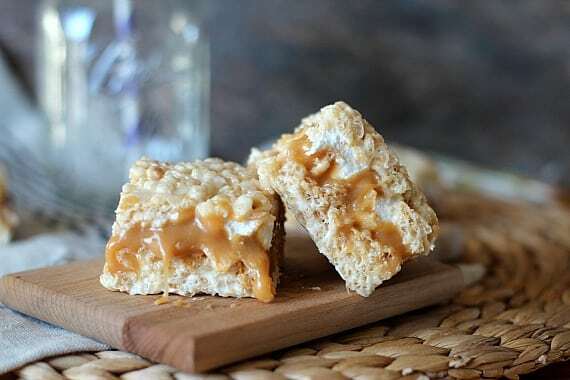 Don’t worry, there are still lots of delicious stuffed Rice Krispies ideas for you to try, such as Caramel Stuffed Rice Krispie Treats, which are made with caramel pieces and condensed milk. You can find the recipe here at Cookies and Cups. 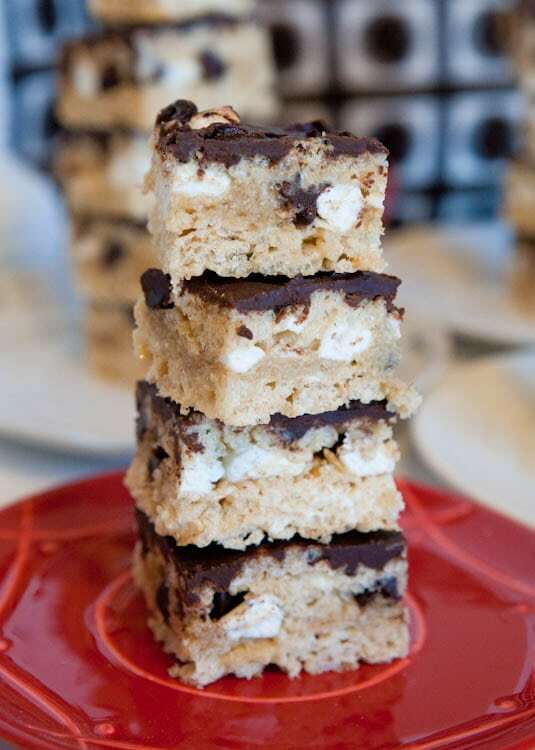 Or how about Chocolate Chip Cookie Dough and Marshmallow Stuffed Rice Krispie Bars? The recipe — from Averie Cooks — is a sinfully rich twist on the old standard, and is sure to please kids and adults alike. Which type of gourmet Rice Krispie Treat is your favorite?